Spring is definitely in the air on this lovely sunny day. It’s a time when many of you are thinking about selling your property. 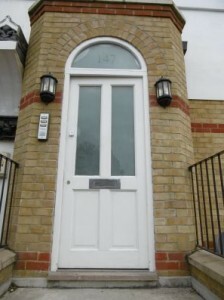 Here are a few ‘low to no cost’ Staging Tips for your all important kerb appeal. Make sure your front door is in good order. Is the paint chipped? Give it a lick of paint. Is the door furniture bright and shiny? Use a bit of elbow grease and a tin of Brasso. 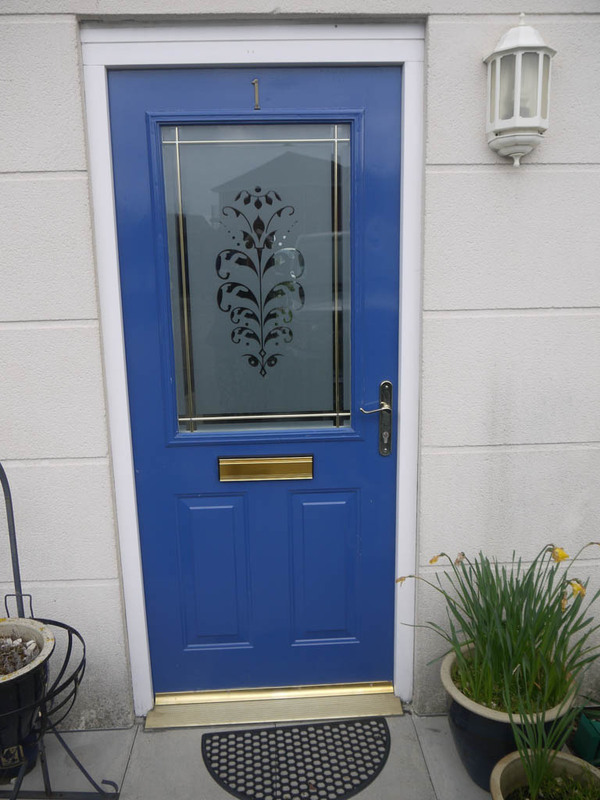 Have you got a number on your door or is the one you’ve got looking a bit shabby? A new one will only cost a few pounds. Is it clean? 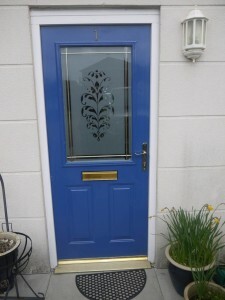 Give the door, door frame and door furniture a good spruce up. 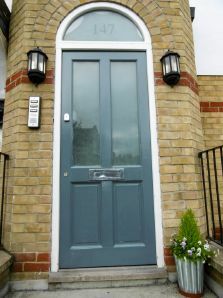 The door in this example was painted grey to match the grey front doors on either side of this property. Include some colourful seasonal flowers in a hanging basket or a green shrub in a pot. 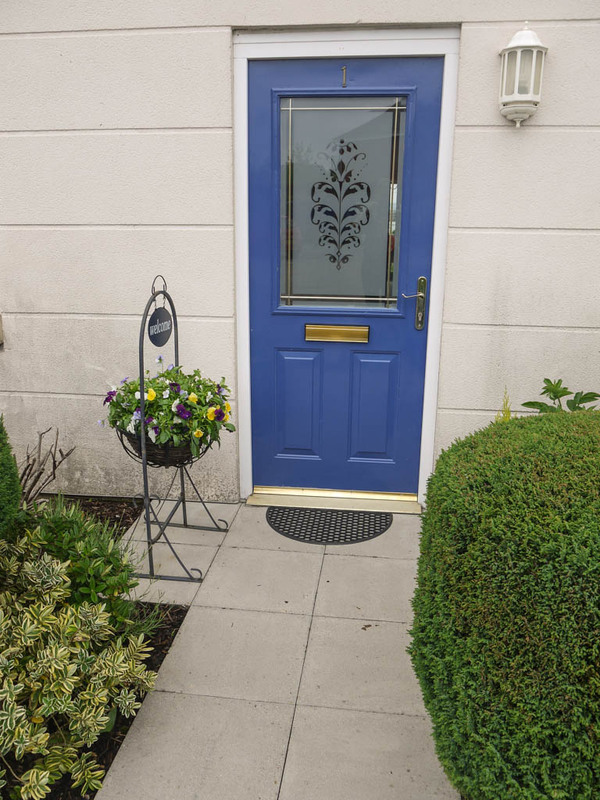 It’s amazing how much more appealing and inviting this will make your front door. If you are not living in the property and can’t maintain real flowers and shrubs then you can buy some good quality fake ones. 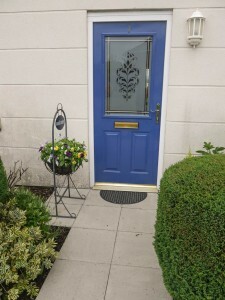 Does the front garden need a tidy up? Tidy your boarders and sweep the path. If you have got a flag stone path then a pressure washer can work wonders. Are the bulbs in your external lights working? Check and replace any dud light bulbs. Are the light fittings clean and tidy? Give the fittings a clean or even a lick of paint if they are damaged. Do your windows sparkle in the sunlight? Thoroughly clean all front windows inside and out. If possible move the bins out of sight. If that is not possible, then at least temporarily move them out of shot when you have your professional photographs done.